The V-Guard VT150G batteries fit perfectly in V-Guard Digital UPS to gift you an uninterrupted and continuous supply of power to your home. Moreover, the VT150G batteries work well with other UPS. The V-Guard VT 250 batteries fit perfectly in V-Guard Digital UPS to gift you an uninterrupted and continuous supply of power to your home. 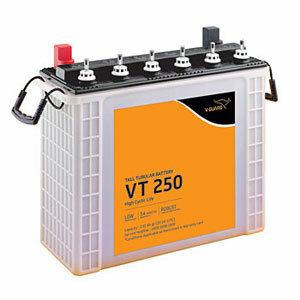 Moreover, the VT 250 batteries work well with other UPS. The V-Guard VT 170 batteries fit perfectly in V-Guard Digital UPS to gift you an uninterrupted and continuous supply of power to your home. Moreover, the VT 170 batteries work well with other UPS. The V-Guard VT 160 batteries fit perfectly in V-Guard Digital UPS to gift you an uninterrupted and continuous supply of power to your home. Moreover, the VT 160 batteries work well with other UPS. The V-Guard VT 145 batteries fit perfectly in V-Guard Digital UPS to gift you an uninterrupted and continuous supply of power to your home. 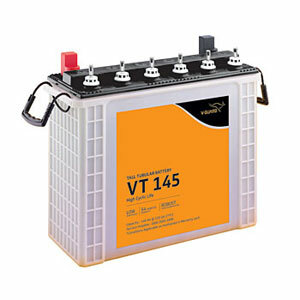 Moreover, the VT 145 batteries work well with other UPS. The V-Guard VT 165 batteries fit perfectly in V-Guard Digital UPS to gift you an uninterrupted and continuous supply of power to your home. Moreover, the VT 165 batteries work well with other UPS. The V-Guard VT 115 batteries fit perfectly in V-Guard Digital UPS to gift you an uninterrupted and continuous supply of power to your home. 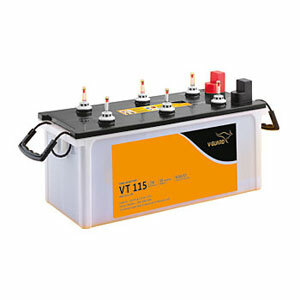 Moreover, the VT 115 batteries work well with other UPS. The V-Guard VT 155 batteries fit perfectly in V-Guard Digital UPS to gift you an uninterrupted and continuous supply of power to your home. 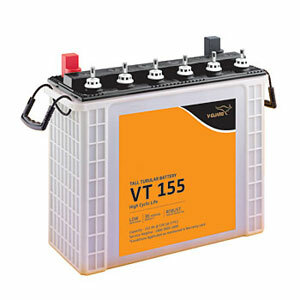 Moreover, the VT 155 batteries work well with other UPS. The V-Guard VJ 170 batteries fit perfectly in V-Guard Digital UPS to gift you an uninterrupted and continuous supply of power to your home. 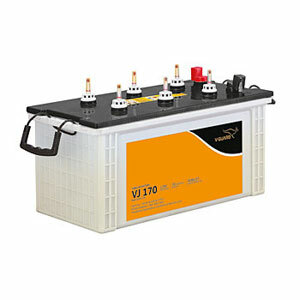 Moreover, the VJ 170 batteries work well with other UPS. The V-Guard VJ 160 batteries fit perfectly in V-Guard Digital UPS to gift you an uninterrupted and continuous supply of power to your home. 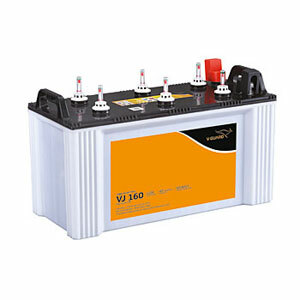 Moreover, the VJ 160 batteries work well with other UPS. The V-Guard VJ 145 batteries fit perfectly in V-Guard Digital UPS to gift you an uninterrupted and continuous supply of power to your home. 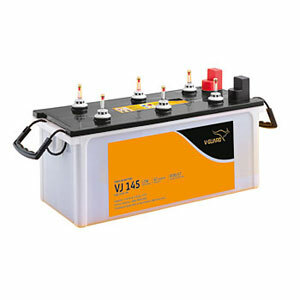 Moreover, the VJ145 batteries work well with other UPS. The V-Guard VT200 batteries fit perfectly in V-Guard Digital UPS to gift you an uninterrupted and continuous supply of power to your home. Moreover, the VT200 batteries work well with other UPS. To provide uninterrupted supply of power in home, the V-Guard Digital UPS requires the best battery. The VT180 batteries, manufactured by V-Guard, are a perfect fit with the Digital UPS.